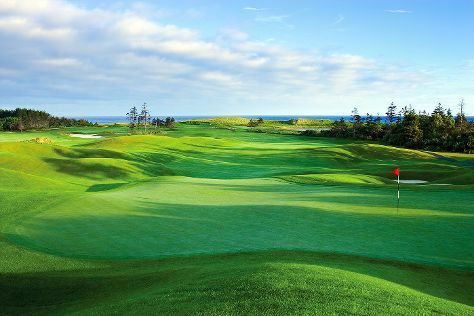 Get out of town with these interesting Halifax side-trips: Peggy's Cove (Swissair Flight 111 Memorial & Peggy's Cove Lighthouse), Lawrencetown Beach (in East Lawrencetown) and Truro (Nova Scotian Emporium & Fireside Tea Room & Victoria Park). There's much more to do: take in nature's colorful creations at Halifax Public Gardens, learn about all things military at Maritime Museum of the Atlantic, get engrossed in the history at Canadian Museum of Immigration at Pier 21, and get a sense of history and politics at Province House. To see other places to visit, maps, more things to do, and tourist information, go to the Halifax trip itinerary builder. New York City, USA to Halifax is an approximately 6-hour flight. You can also drive. The time zone difference moving from Eastern Standard Time to Atlantic Standard Time is 1 hour. Plan for a bit cooler temperatures traveling from New York City in July, with highs in Halifax at 72°F and lows at 61°F. Finish up your sightseeing early on the 30th (Sun) so you can travel to Cavendish. Explore the numerous day-trip ideas around Cavendish: The Bottle Houses (in Wellington), Charlottetown (Province House National Historic Site of Canada, Beaconsfield Historic House, & more) and College of Piping and Celtic Performing Arts of Canada (in Summerside). The adventure continues: stroll through Brackley Beach, savor the flavors at Doiron Fisheries, find something for the whole family at Avonlea Village, and contemplate the long history of Green Gables. For photos, more things to do, and other tourist information, read Cavendish trip itinerary builder. You can do a combination of bus, flight, and taxi from Halifax to Cavendish in 3 hours. Alternatively, you can drive; or do a combination of train, bus, and taxi. In July, plan for daily highs up to 75°F, and evening lows to 59°F. Finish up your sightseeing early on the 4th (Fri) so you can travel to Montague. 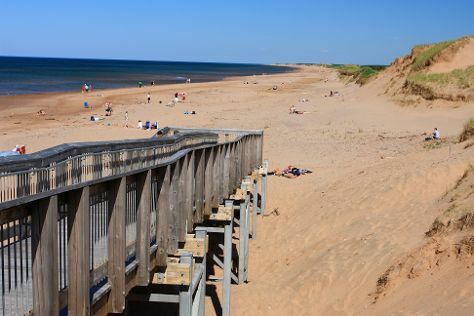 Montague is a Canadian town and the largest population centre in Kings County, Prince Edward Island.The town straddles the Montague River which is the dividing line between the townships of Lot 52 and Lot 59. Get out of town with these interesting Montague side-trips: Souris (Basin Head Fisheries Museum & Basin Head Provincial Park), Greenwich Interpretation Centre (in Saint Peters Bay) and The Links at Crowbush Cove (in Lakeside). And it doesn't end there: do a tasting at Jost Vineyards, enjoy the sea views from East Point Lighthouse, look for gifts at The Old General Store, and indulge your taste buds at Oyster Lovers Experience. To find other places to visit, photos, and more tourist information, read our Montague travel itinerary creator. You can drive from Cavendish to Montague in 1.5 hours. In August, plan for daily highs up to 74°F, and evening lows to 59°F. Finish your sightseeing early on the 9th (Wed) so you can travel to Lunenburg. Change things up with these side-trips from Lunenburg: Graves Island Provincial Park (in Chester), Luckett Vineyards (in Wolfville) and Grand-Pré National Historic Site (in Grand Pre). There's still lots to do: pause for some serene contemplation at St. John's Anglican Church, stop by The Teazer, play a few rounds at Bluenose Golf Club, and see the interesting displays at Fisheries Museum of the Atlantic. To see more things to do, where to stay, traveler tips, and other tourist information, go to the Lunenburg trip planner. Traveling by car from Montague to Lunenburg takes 5 hours. In August in Lunenburg, expect temperatures between 71°F during the day and 61°F at night. Finish your sightseeing early on the 14th (Mon) so you can travel to Annapolis Royal. Annapolis Royal, formerly known as Annapolis, is a town located in the western part of Annapolis County, Nova Scotia, Canada.Today's Annapolis Royal evolved from the 1605 French settlement of Port Royal (briefly Charlesfort), renamed in honour of Queen Anne following the Siege of Port Royal in 1710 by Britain. You'll find plenty of places to visit near Annapolis Royal: Ocean Explorations Whale Cruises (in Tiverton), Le Village Historique Acadien de la Nouvelle-Ecosse (in Lower West Pubnico) and Cape Forchu Lightstation (in Yarmouth). And it doesn't end there: identify plant and animal life at Annapolis Royal Historic Gardens, view the masterpieces at Hubert and Belle's, examine the collection at Port-Royal National Historic Site, and contemplate the long history of Fort Anne National Historic Site. For photos, other places to visit, ratings, and tourist information, go to the Annapolis Royal vacation trip planner. Drive from Lunenburg to Annapolis Royal in 2 hours. When traveling from Lunenburg in August, plan for a bit warmer days and about the same nights in Annapolis Royal: temperatures range from 77°F by day to 57°F at night. Wrap up your sightseeing by early afternoon on the 18th (Fri) to allow time for travel to Louisbourg. 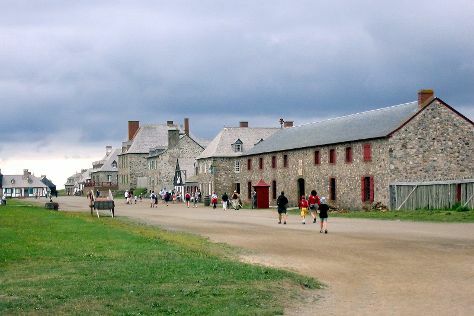 Louisbourg is an unincorporated community and former town located in Nova Scotia's Cape Breton Regional Municipality.HistoryThe French military founded the Fortress of Louisbourg in 1713 and its fortified seaport on the southwest part of the harbour, naming it in honour of Louis XIV. Kick off your visit on the 19th (Sat): see the interesting displays at Miner's Museum and then steep yourself in history at Fortress of Louisbourg National Historic Site. Keep things going the next day: contemplate the waterfront views at Bras d'Or Lake and then enjoy the sand and surf at Black Brook Beach. To see more things to do, other places to visit, photos, and other tourist information, read Louisbourg tour planner. The Route module can help you plan travel from Annapolis Royal to Louisbourg. In August in Louisbourg, expect temperatures between 74°F during the day and 58°F at night. 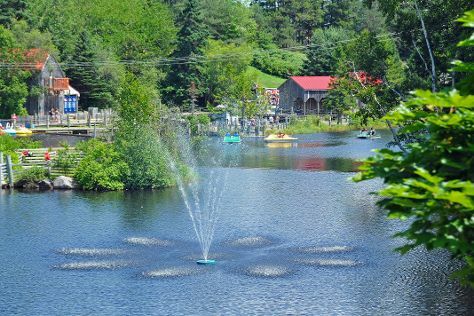 Finish your sightseeing early on the 20th (Sun) to allow enough time to travel to Baddeck. You'll find plenty of places to visit near Baddeck: Ben Eoin (The Lakes Golf Club & Ben Eoin Provincial Park) and Highland Village (in Iona). There's much more to do: take an in-depth tour of Alexander Graham Bell National Historic Site, make a trip to The Water's Edge Gallery of Fine Art & Crafts, take in the dramatic scenery at Uisge Ban Falls, and visit a coastal fixture at Kidston Island Lighthouse. For ratings, reviews, photos, and more tourist information, you can read our Baddeck holiday planner. Drive from Louisbourg to Baddeck in 1.5 hours. Traveling from Louisbourg in August, plan for slightly colder nights in Baddeck, with lows around 47°F. Finish up your sightseeing early on the 24th (Thu) so you can travel to Ingonish. 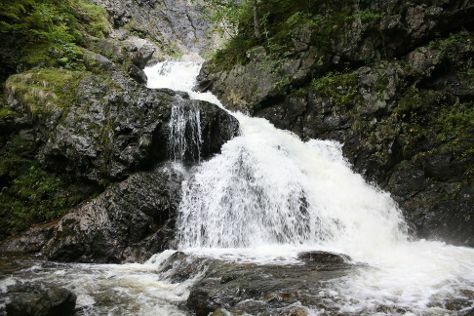 Spend the 25th (Fri) exploring nature at Cape Breton Highlands National Park. To see reviews, photos, maps, and tourist information, refer to the Ingonish travel itinerary planner. Traveling by car from Baddeck to Ingonish takes 2 hours. Traveling from Baddeck in August, expect somewhat warmer with lows of 58°F in Ingonish. Finish your sightseeing early on the 28th (Mon) so you can travel to Acadia National Park. Change things up with these side-trips from Acadia National Park: Schoodic Peninsula (in Bar Harbor), Bass Harbor Head Lighthouse (in Bass Harbor) and Schoodic Point (in Winter Harbor). The adventure continues: step off the mainland to explore Mount Desert Island, explore the activities along Jordan Pond Nature Trail, take in the awesome beauty at Cadillac Mountain, and tour the pleasant surroundings at Ocean Path. For where to stay, traveler tips, other places to visit, and other tourist information, read our Acadia National Park trip generator. Use the Route module to find suitable travel options from Ingonish to Acadia National Park. You'll gain 1 hour traveling from Ingonish to Acadia National Park due to the time zone difference. In August, daily temperatures in Acadia National Park can reach 75°F, while at night they dip to 58°F. On the 9th (Sat), wrap the sightseeing up by early afternoon so you can drive back home.